Is it the same old, starting with complaints and ending with more work? Are you tired of the weekly Monday morning meeting? Meetings become ineffective when they combine different types of discussions, because we aren’t good at changing the pace or tenor of a conversation once it starts. Make things easier by splitting discussions into categories. If this sounds like your staff meeting, it’s probably time to shake things up. Meetings won’t be boring and unproductive if you incorporate a little imagination and some planning. Here are 7 tips to turn boring meetings into productive meetings. Sharing the purpose of the meeting and agenda ahead of time so everyone is on the same page. People want to know what to expect in advance. Don't call meetings unless they are necessary; when they are, let people know what your meeting is about by circulating the agenda at least three days in advance. Then show up on time, keep to the agenda time limits, follow up on responsibilities, and watch your popularity index climb! The important thing to remember is keep it simple. You don’t need to create a full-blown dissertation for your agenda. Simplicity wins. Start off with an inspirational quote or story, or a passage from a best selling business book. Dedicate a different person each week to start the meeting with their own spin, or lay out a topic for discussion that will bend their minds in directions other than work. 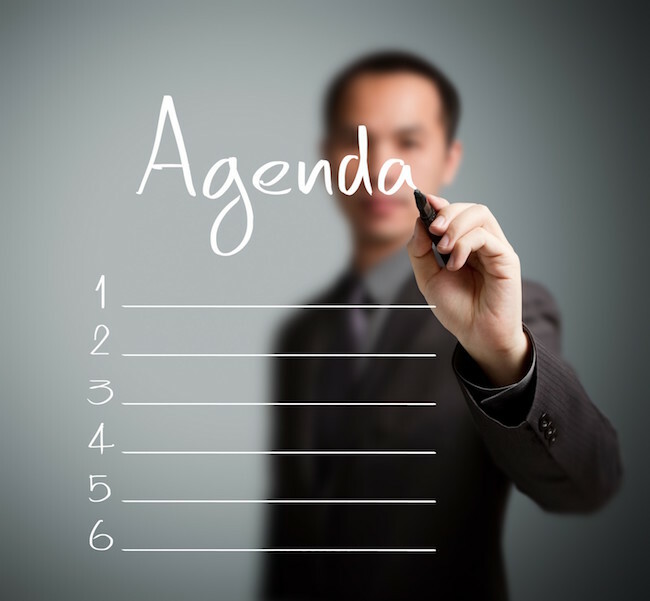 Your main goal at the meeting venue is to get the team’s attention and encourage their contribution to the agenda. To achieve this, create a comfortable environment right away. Casual conversations before the meeting starts are great for creating comfort. Pre-meeting chats offer a window into other aspects of the lives of your staff. The conversations are also perfect icebreakers that let the team slip comfortably into idea-contribution mode. Handled well, they will turn a stressed, tongue-tied team into a free flowing forum of smart ideas. Don’t let the meeting digress into a complaint session. Set the standard of positivity at your first meeting and make it a rule for all meetings. If there is a problem, look at solving it with a team approach, concentrating on the next step of solving it rather than complaining about the problem itself. Make each person responsible for some contribution to the meeting, whether it’s their department report, an anecdote or a unique or innovative idea. That will make them feel more integrated into the team. Rather than being talked “at,” they can add their own important information to the discussion. Set timers. Even a countdown clock visible to everyone is good. When people know their time is limited to accomplish something, they’ll chime in more quickly. Ideally, meetings are shorter than ninety minutes, because that is the ideal amount of time that the mind can effectively focus on a subject before needing a break. If your meeting needs to be longer than ninety minutes, then you have to schedule a break. Toward the end of your meeting, briefly list the action steps that need to take place to move the company or your team forward. Remind everyone where the company is headed--the big picture. End it with a genuine smile and enthusiasm for the future. A good meeting is a bit of an art form, so give yourself some time to figure out the flow. Things may not go perfectly the first time, but there’s always room for improvement if you put effort into making it work.